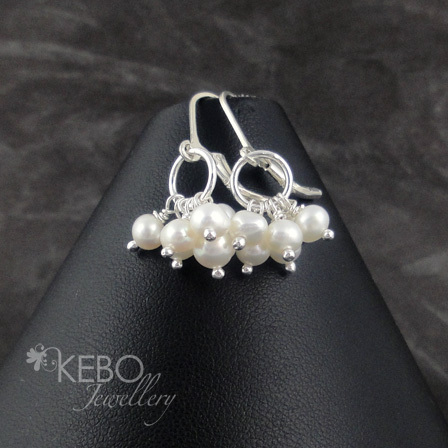 These earrings are made to order with Fresh Water Pearls and sterling silver. The great thing about made to order/measure is that your jewellery can be made to your specifications therefore if you want to change the design or colour, this may be possible. If you need a specific size or would like to change the metal, this is not a problem. 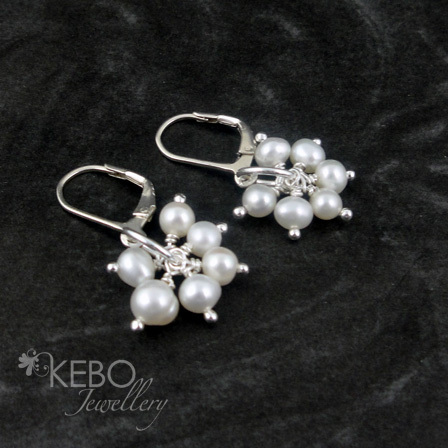 This is why made to order is so great, your jewellery can be made to your specifications. Just let us know. As these are made to order, please allow 2 weeks for your item to be shipped.